Hillary Clinton and Ban Ki-moon look on helplessly as President Assad continues to slaughter his people. Putin refuses to back the peace plan. (Print size: 29cm x 21cm. 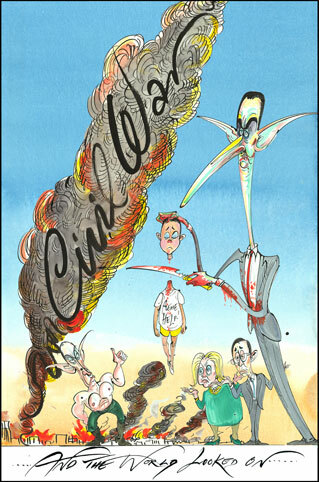 Hand signed by Gerald Scarfe).